Mum always said there’s nothing like a home cooked meal. What she was really saying was there’s nothing quite like HER home cooked meals. Like almost all Vietnamese mothers, she spends most of her time cooking, talking passionately about cooking, or out in the garden growing whatever she’ll be cooking next. Her food was legendary, and whether she was cooking for just us or for the whole street, she made sure no one left hungry. 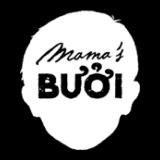 The Mama’s Buoi menu is inspired by Mum's home-cooked goodness. Our best memories are centered around family meals and the banter that echoed from them. We’re happiest when everyone is enjoying great food in great company.